What about that dental hygiene appointment you planned to schedule into your New Year? 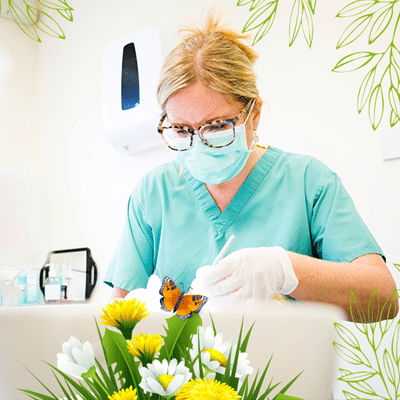 This month, a trip to see our lovely dental hygienist Julie Keay will add a spring to your step – and a healthy gleam to your smile. According to experts, a smile is the first thing we notice about each other – rather important when it comes to making a good first impression and boosting our confidence. Our mouth is also the gateway to our overall health – and there have been many clinical studies to support this. Did you know, for instance, that gum disease increases the risks of cardiovascular diseases, strokes, respiratory disease and diabetes? Gum disease also has an association with cancer. Recent studies suggest women with gum disease are 14% more likely to develop oral cancer – and a hygiene appointment screens for this as well. We do an oral cancer screening every time a patient is seen and also carefully assess patients for risk factors, such as smoking and alcohol intake, and advise accordingly. How often you have a hygiene check-up really depends on your individual needs. If you have active gum disease, then you may need to schedule a visit every three to four months. But, if your gum disease is stable and all you need is maintenance, then six months is recommended. For low-risk patients, yearly is fine to keep everything in order and for Julie to ensure you are still using the correct techniques. And, if you just fancy a professional clean, Julie can even help make your smile whiter! She can get rid of those annoying stains caused by tea and coffee, red wine and so on, as well as the build-up of calculus that becomes hard and sticky attracting more bacteria and staining. We’ve made it simple for you to book an oral health screening. You can now arrange an appointment with Julie directly without seeing any of our dentists first. Although please don’t forget to come and see us regularly, too! So, be sure to factor in some TLC for your teeth. A hygiene appointment not only freshens up teeth and gums, it may also rejuvenate your health and wellbeing and add sparkle to your smile! 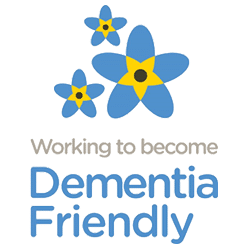 We are your dementia-friendly dental team! We pride ourselves as a practice empathetic to dementia patients. 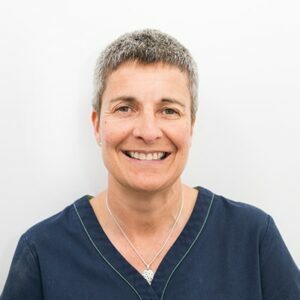 Dentist Belinda understands the problems associated with the condition only too well –her mum is a sufferer, so Belinda has plenty of personal experience of the challenges as well as professional insight into how it can impact on dental health. With around 850,000 people in the UK with the condition – 5% of the population – we think it’s important to help everyone overcome any issues and we aim to meet your personal needs, whatever the problem. We are perfectly placed to make a trip to the dentist as straightforward as possible for all our patients (and their carers). With a practice that is out of town with ground-floor facilities and our very own FREE car park, drop off and pick up is made easier for those with family members who need an extra helping hand. Our open and sunny waiting room complements our open-door approach and our friendly staff will happily help any of our patients who may need more time to relax before treatment in order to ensure a stress-free experience. We can even play music on request for those who may benefit from listening to their favourite tunes. We always ensure careful explanations of treatment to both patient and carer and follow the good practice guidelines for dementia-friendly dentistry (FGDP (UK) 2017). We can also signpost carers to other health organisations. If you have any special request about the dental treatment for a loved one you care for, please do speak to one of our receptionists who will be happy to help. What can our new dentist Richard do for you? Have you met Richard yet? He’s our newest dentist here at Coombe Dental and joined us in September. Since then, he’s fixed many of our patients’ smiles with amazing results. He has a special interest in aesthetic dentistry and offers minimally invasive techniques to smarten up a smile at a price to suit all pockets. And did you know that cosmetic dental treatment is suitable for all of us – whatever our age? Take note, you do need to have a healthy mouth before having any cosmetic dentistry. 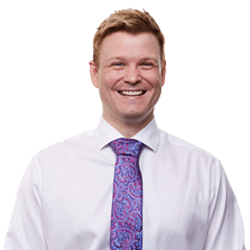 Richard will perform a full assessment of your whole mouth to make sure the treatment you want is suitable and will last. Missing teeth. What are your options? Do you have a niggling missing tooth or one that’s cracked? Even if it’s hidden at the back of the mouth, does it bother you what it looks like? 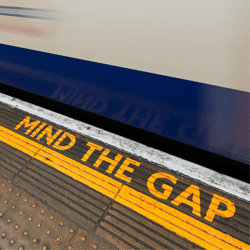 With more of us keeping out teeth longer and into our old age, there are always improvements that can be made to our smile – and these days, there are far more options than good old-fashioned dentures. Dentist Belinda is well equipped to offer long-term solutions that can improve a broken smile so that you’re happy not only with the way your teeth look, but also how they function. Dental implants can be used to retain dentures and provide fixed reconstruction for single or multiple missing teeth. A dental implant is also the closest thing to nature for replacing a lost tooth and research shows that the biting and chewing efficiency of teeth retained with dental implants is far greater than standard dentures. Your quality of life is important to us and dental implants provide a more long-term and natural-looking option for those looking to reconstruct their smile. First of all, there is no need for unnecessary tooth destruction of the adjacent teeth to provide bridgework. They also produce a near like-for-like replacement for a missing tooth. A dental implant is placed carefully within a jawbone in exactly the same position as the previous root of the tooth that is missing and, after a period of three months, the implant can be successfully restored with a fully functioning and aesthetically pleasing crown. We use Straumann implants because of the robust research behind them. They are designed to last forever, which is why they come with a lifetime guarantee. Belinda can offer the best advice for any type of dental reconstruction and will offer you all options and the cost implications prior to treatment. Dental implants require a lot of planning from us and a huge commitment from you, but don’t let that put you off. If you’re looking for a natural minimally invasive solution to a broken smile, do get in touch and book a consultation. No stranger to challenges, Belinda is off to Italy in July where she plans to tackle the 2018 Maratona dles Dolomites – a four-day cycling event in the Italian mountain range that will test her endurance to the limits. But it’s all for a good cause. She hopes to raise awareness of dementia and raise funds for the Alzheimer’s Society – a ‘Godsend to friends and relative of those afflicted with this debilitating condition’. 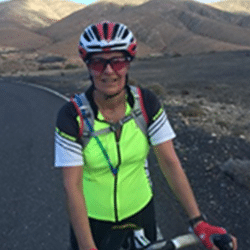 Belinda has had a passion for two wheels since she was a teenager but only seriously took up cycling since a close friend died of pancreatic cancer in 2014. With a distance to cover of 138km – 4,230m of which will be in the ascent – Belinda is looking forward to some serious pasta intake for some much-needed energy. Just a note to say… over the Easter weekend, we are closed Good Friday and Easter Monday but emergency cover is always available. Coombe Dental Care now Tweets!! Do you worry about your gappy smile?